The winemaking at Ravine Vineyard is not so much deferential as much as it is a stylistic best described as post modern proletariat. Marty Werner’s modern enrichment often acts like subtraction, as opposed to traditional winemaking which effects the obvious, just and because less is more. His work reflects what once was (in turn of the century Niagara Peninsula) and upon what function emerged out of form, but also what could have been, from successes squeezed out of warm (2005, 2007, 2010) and from mistakes in challenging (2006, 2008, 2009) vintages. 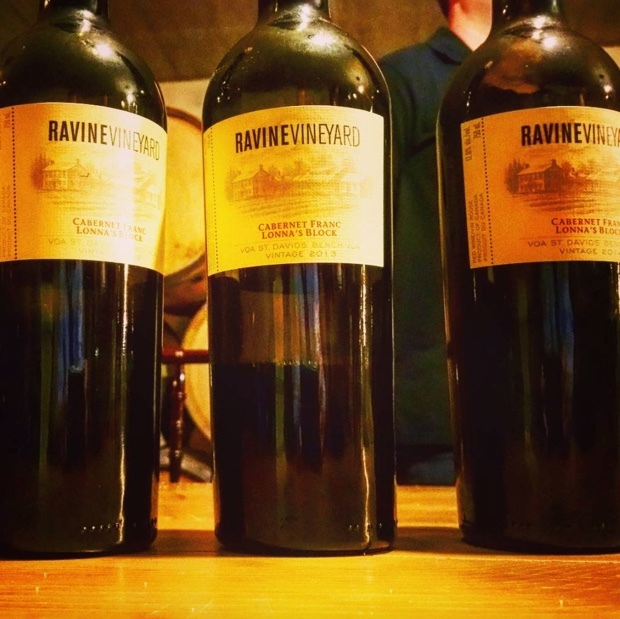 The current releases of 2014 and 2015 are wines of augmentation in the form of intensification in the structure rather than for weight or texture. Werner’s plebeian, blue-collar post-modernism is setting a new standard in Niagara. If his work (along with assistant winemaker Ben Minaker) can be viewed as sycophantic than all the better for the copycats and the apostles to hang on and around. 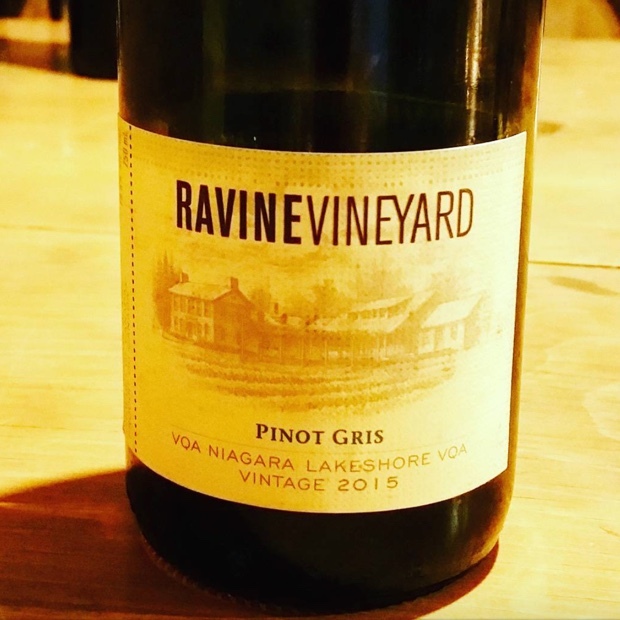 After a wild and multi-faceted chardonnay (plus) weekend down on the farms of Niagara’s flats, shores and across its escarpment benches, it is always the pleasure of pleasures to convene at Ravine Vineyard for a few oysters, a plate of great grub and more chardonnay. It is a time to breath and say another goodbye to the greatest collective consciousness of wine folk on the planet. Then Peter Gamble approaches. “We’re having a little impromptu tasting down in the cellar.” Marty and Ben lead a small group through these wines. We are captivated and motivated by their new work and their mini-vertical presentation. Ian D’Agata, John Szabo M.S., Michael Vaughan, Tony Aspler, Stephen Campbell, Magdalena Kaiser and I. Here are my notes. In 2015 winemaker Marty Werner offers up 100 per cent barrel fermented sauvignon blanc aged in 10 per cent new (or just one barrel). The fruit comes from Concession Road 2 between lines 8 and 9, on heavy clay and only four year-old vines. The recovering vineyard is a microcosm for the overall Niagara recovery and the vintage allotted 250 cases when it normally produces upwards of 350. The 2015 ripeness stylistic is up front fruit from young vines. 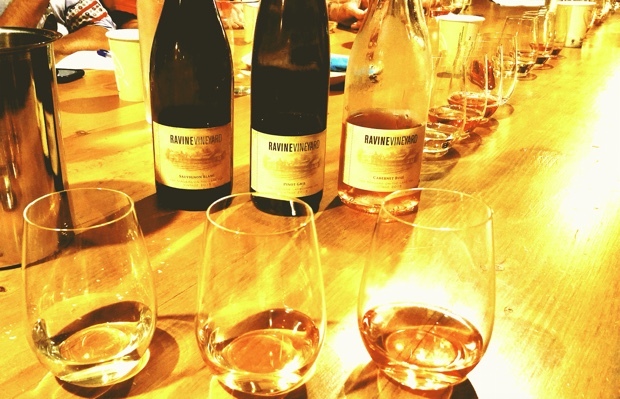 “A pick when you want to, not when you have to vintage” notes assistant winemaker Ben Minaker. Metallic peach and fennel pollen emit and you must appreciate a wine of such tartness on the back end, as opposed to sour patch up front. Stylish is the yeast (one third wild) understatement of the day. Says Werner, “we leave the fruit a bit dirtier coming out of the press,” so it gains some funky complexity, but no malo though. The acidity counteracts in the mid to high sevens. Lush antiquarianism is the end result. Drink 2016-2019. Tasted July 2016. 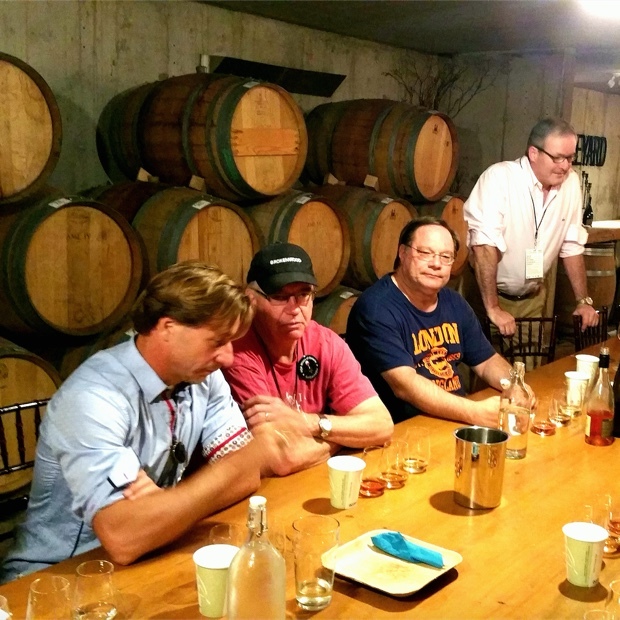 This entry was posted in Niagara, Niagara Lakeshore, Ontario, Ravine Vineyard, St. David's Bench, VQA, Wine Country Ontario, WineAlign, WineAlign National Wine Awards of Canada, Wines Tasted and tagged Alcoholic Beverage Manufacturing, Ben Minaker, Beverages, Cabernet Franc, Drinks and Beverages, Food and Beverage Sector, Food and Wine, Ian D'Agata, John Szabo MS, Magdalena Kaiser, Marty Werner, Michael Godel, Michael Vaughan, Norma Jean Harber, Peter Gamble, Pinot Gris, Red Wine, Sauvignon Blanc, Stephen Campbell, Tasting Notes, Tony Aspler, Vineyards and Winemakers, White Wine, Wine, Winemaking.